Download Free CVCC GO App for Mobile and Other Devices. Check the App Store to find out system requirements. CVCC Go is an app for your smart phone and tablet to help you stay connected to CVCC like never before. Everything in one place at your fingertips. Install the app and get access to news, class schedules, grades, sports information, Library resources, and much more. We will continue to improve and add additional functionality to the CVCC Go app. For information and support please e-mail us at helpdesk@cvcc.edu. Click the icons from your mobile device. 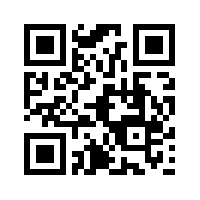 Or scan the QR code on your mobile device. Begins with cvcc-followed by the last 4 digits of your Social Security number. If you have changed your original password, you will use your current password. Jane Doe has a Student ID number of 0012345 and a Social Security number of 123-45-6789. Note: Faculty and Staff will use their same CVCC Portal login for the CVCC Go Mobile App. Click on the hamburger menu in the upper left corner then click sign in on the bottom left. Courses - Access your schedule for current semester. Get faculty information and meeting information. My Final Grades - Access your grades by term. Notifications - Alerts on the student accounts; holds and registration permissions. Registration - Continuing CVCC students can register, add or drop classes for the current semester. New students must see the Advising Center before Online services can be utilized. Financial Information - View current CVCC balance as well as make payments. This menu item requires a second login. Campus Maps - View the campus map, and get directions to buildings on campus. Campus Store - The CVCC bookstore online. Buy books, gifts and supplies. Canteen Cafe - The CVCC Cafe online. View daily and weekly menu options. Important Numbers - Quick access to campus phone numbers such as Bookstore, Public Safety, Student Accounts, etc. Touch to dial. Virtual Campus Tour - External video of CVCC’s campus and buildings. Facebook - Connect with CVCC on Facebook. Twitter - Access the official CVCC Twitter feed. LinkedIn - Access the official CVCC LinkedIn page. YouTube - CVCC YouTube Channel - access current and archived videos. Home - Back to the CVCC Go home page. About - Displays App Version number and other information. Sign In - Login with your CVCC ID and password.